Home » Enviornment » New Insurance Laws – Its Scope And Challenges? As has been eulogised in the media over the past few years, the insurance industry in India is one of the most regulated, challenging yet untapped sectors in India, with a road full of immense potential given the fact that India is one of the least penetrated insurance markets in the world, with a large aspirational young population and growing disposable income. However, the road to success in this industry is riddled with potholes of regulatory uncertainty and overreach, requiring insurance companies to adopt the skillsets of an off-road rally driver who can navigate these potholes with dexterity, patience and dogged determination to move ahead. 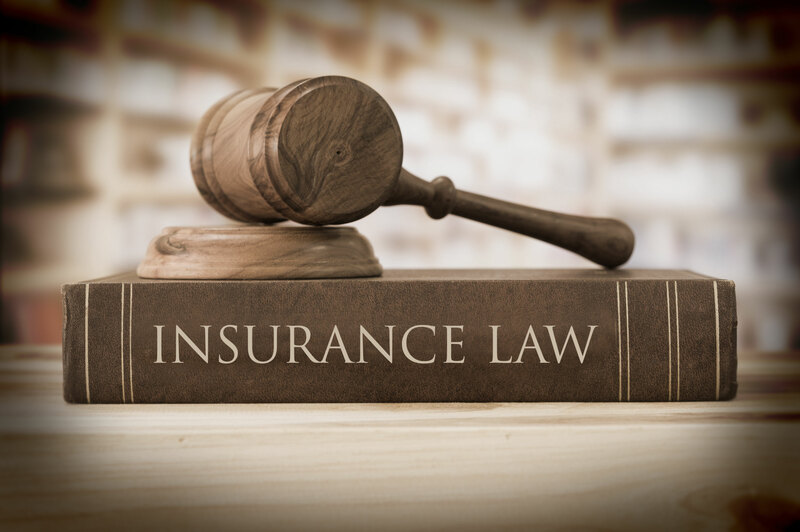 Hence for those companies who had geared up to tame the elephant with tenacity and vigour, the Insurance Laws (Amendment) Act, 2015 (“Amendment Act“) was a shot in the arm bringing about significant amendments to the Insurance Act, 1938 (“Insurance Act“). One of the most sweeping amendments was enabling insurance companies to raise capital in forms other than equity shares, such as preference shares or certain debt instruments1, freeing insurance companies to structure their fund raising in a broader manner, rather than solely through plain vanilla equity investments. While the aforementioned amendment was met with a lot of fanfare and the pundits waxed eloquent about it being a game changer, over two years have passed by and the practical implications of the said amendment and how the aforesaid relaxation in raising capital has been used by insurance companies, paints a story that is rather bittersweet and as always, the devil has been lurking around in the details. We will now try and scratch the surface of the relevant provisions and examine how insurance companies, the Insurance Regulatory and Development Authority of India (“IRDAI“) and insurance professionals have interpreted these provisions, since their notification. On November 13, 2015, the IRDAI notified the IRDAI (Other Forms of Capital) Regulations, 2015 (“OFCR“), which permit insurers to raise capital by way of issuance of (a) preference shares; or (b) ‘subordinated debts'(“Instruments“), with the prior approval of the IRDAI. Under the OFCR, while the term “preference share capital”2 imports its definition from the Companies Act, 20133 (“Companies Act“), the OFCR expressly states that while the claims of preference shareholders are superior to those of equity shareholders, they shall remain subordinate to the claims of policyholders and all other creditors. Similarly, the OFCR defines “subordinated debts”4 to mean “debentures”, as defined under the Companies Act, the said debentures would need to satisfy the criteria specified under the OFCR. Under the Companies Act, the term “debenture” includes a debenture stock, bonds or any other instrument of a company evidencing a debt, whether constituting a charge on the assets of the company or not5 and hence provided for secured debentures, the OFCR does not permit debentures to be secured or covered by a guarantee of the insurer. Hence while the insertion of preference shares and subordinated debt as permissible modes of raising capital, widened the regulatory ambit and bringing the definitions at par with the Companies Act was the logical thing to do, the OFCR has provided specific riders, such as assigning the ranking of the said preference shares below that of the claims of the policyholders and creditors and not permitting cumulative or participating preference shares, even though the same are permitted under the Companies Act. The claim of the debenture holder is superior to the equity and preference shareholders but subordinate to the claims of the policyholders and the creditors. While the provisions stating that claims of the holders of the Instruments would not take precedence over the policyholders is in line with the legislative intent and regulatory outlook of the IRDAI which places the rights of the policyholders as supreme, the restrictions on not permitting cumulative or participating preference shares limits the ability of investors to structure their instruments in a manner that enable them to earn a steady and just return in the form of a preferential dividend, which is cumulative and participating in nature. Section 6A (1)(ii) of the Insurance Act (as amended by the Amendment Act) provides that insurers shall restrict voting rights of shareholders to only equity shares and hence voting rights cannot be exercised by holders of Instruments other than equity shares. This restriction directly conflicts with Section 47(2) of the Companies Act which entitles preference shareholders to vote on: (i) resolutions which directly affect the rights attached to their preference shares; and (ii) resolutions pertaining to winding up or repayment or reduction of equity or preference share capital. Section 47 of the Companies Act further states that if dividends are not declared by a company for two consecutive years, then preference shareholder will have a right to vote on all matters in relation to the company. The abovementioned conflict coupled with the provision of the Companies Act6 which states that if there is a conflict between the provisions of the Companies Act viz-a-viz the Insurance Act with respect to an insurer, the provisions of the Insurance Act shall prevail, will result in a scenario that preference shareholders may not be granted any voting rights even during circumstances that directly impact them, i.e. resolutions which directly affect the rights attached to their preference shares, even though such rights would be granted to preference shareholders under the Companies Act. This results in making preference shares as a less attractive mode of raising capital and the restriction seems to be without merit as permitting preference shareholders to have the same rights as granted to them under Section 47(2) of the Companies Act would have been the just thing to do, given how narrow these statutory rights already were and how fundamental they would be to any holders of preference shares. OFCR is silent on whether convertible Instruments (i.e. Instruments that can be converted to equity shares on certain terms and conditions) are permitted to be issued by insurers and as such it appears that issuance of such Instruments would require an IRDAI approval, which IRDAI may grant on a case to case basis. However, assuming that convertible Instruments are permitted, it is certain that the terms of conversion will be subject to the minimum maturity period stipulated for Instruments under the OFCR. While the OFCR is silent on whether Instruments may be transferable or not, section 6A(4) of the Insurance Act provides that prior IRDAI approval is required if: (i) after the transfer, the total ‘paid-up holding‘ of the transferee in the ‘shares‘ of the insurance company is likely to exceed 5% of its paid-up capital; or (ii) where the nominal value of the ‘shares‘ to be transferred exceeds 1% of the paid-up equity share capital of the insurance company. Considering that the term “shares” includes preference shares and also that preference shares forms part of the share capital of a company, prior IRDAI approval may be required for the transfer of preference shares, if any of the aforementioned thresholds are breached. This is an additional benefit that debentures, specifically non-convertible debentures have over preference shares, as the restrictions under 6A(4) may not be triggered upon the transfer of the debentures as neither does “debentures” fall within the definition of shares and nor do debentures form part of the equity share capital of a company. As per the OFCR, the debt instruments can have an interest rate which can be a fixed rate or a floating rate. A floating interest rate may make a listed non-convertible debenture more attractive for investment and easier to trade on the relevant stock exchanges. Further, the OFCR provides the following restrictive conditions: (i) no dividend/interest to be paid if the insurer’s solvency margin is below statutory limits or is likely to be after such payment; and (ii) dividend cannot be cumulative i.e. dividend of a given year cannot be paid in the subsequent years. The regulations do not permit participating preference shares and hence it seems that there would be greater liquid returns through debentures rather than preference shares as well, resulting in debentures being considered as a more effective mode of raising capital without parting with equity. Another interesting condition provided under the OFCR is that insurers cannot issue Instruments with a put option but can issue Instruments with a call option provided that the call option is exercised only: (i) post five (5) years of its issuance, and (ii) if prior IRDAI approval is obtained for such exercise. A call option of the Instrument would in effect be a buyback of the preference shares or an early redemption of the debentures. As per the Companies Act, a buyback of preference shares in a financial year has a limit of 25% of the paid up capital of the company; however, there is no such limit for debentures. The OFCR has provided certain ceiling restrictions on the total amount that may be raised by issuance of Instruments and provides that such amount shall not exceed: (i) 25% of the total paid-up equity share capital and securities premium of an insurer; and (ii) 50% of the net worth of an insurer. However, an amendment to the aforesaid restrictions in the OFCR is in the pipeline. In the IRDAI’s 96th meeting dated March 03, 2017, it was proposed to relax the aforesaid restrictions on an exceptional basis to provide that funds could be raised through Instruments up to the extent of 25% of paid-up share capital plus share premium account or net worth, whichever was higher in situations which may so warrant. The Chairman of the IRDAI will be authorized to consider and grant approvals on a case to case basis. In this regard, the IRDAI resolved to amend the OFCR. In fact, it is interesting to note that in the case of one of the prominent insurance players, it had issued NCD’s constituting 25% of paid up capital and securities premium and approached the IRDAI to grant a relaxation from the restrictions of OFCR, by allowing it to raise additional subordinate debt, within the limit of 25% of its net worth. Additionally, the OFCR permits the Instruments to be counted towards ‘available solvency margin’ of an insurer, giving a major impetus to insurers to explore these new forms of capital, without having to worry about any adverse impact on their solvency margins and rather, to the contrary, enhancing their solvency margins. However, there will be a progressive hair-cut in the ratio in which the Instruments will be counted towards ‘available solvency margin’ of an insurer for the final five years prior to maturity of the Instruments. Nonetheless, for insurers seeking to increase their solvency margins, raising funds under the OFCR could be a lucrative option. Section 71(4) of the Companies Act requires companies to create a debenture redemption reserve (“DRR“) account out of the profits of the company available for payment of dividend and the amount credited to such account shall not be utilised by the company, except for the redemption of debentures. As there was no clarity in relation to this under the OFCR, the need of the DRR was hotly debated between many market participants. We understand that some insurers had approached the IRDAI to seek a clarification as to whether insurers are required to create a DRR account as specified under Section 71(4) of the Companies Act. Pursuant to this, the IRDAI issued a calcification dated August 04, 2017 clarifying that insurers are required to create a DRR as required under the Companies Act and that such DRR shall be 25% of the value of outstanding debentures. The IRDAI further clarified that the DRR shall be ignored and not considered as a liability for the purpose of computation of solvency margin and ratio. This is in line with the intent of the OFCR which permits Instruments to be counted towards ‘available solvency margin’ of an insurer and seeks to give comfort to insurers that there will be no adverse impact on their solvency margins, redeeming itself to show its commitment to implement the OFCR in its spirit. The life insurance business is highly capital intensive and insurers require large amounts of capital for a variety of objectives including facilitating long term or short term business growth, financing new business projects and most importantly strengthening the company’s solvency margins. Given the dynamics of the business, merely permitting equity shares as a mode of raising capital was highly restrictive and was creating an impediment on the growth of the sector in the country and hence the OCFR was adopted primarily to fix the anomaly and provide flexibility to insurance companies to fund their businesses with a right mix of equity and debt. Only permitting equity investments was causing companies its own set of challenges. For the existing promoters, if the funds were to be raised through issuance of equity shares to existing shareholders, this added financial burden on the existing shareholders to continue to fund companies indefinitely or alternatively being saddled with a lack of funds which would hamper growth. If the funds were to be raised through an issuance of equity shares to a third party, the said third party would have to be an eligible buyer and meet criteria laid down under the Insurance Act, which many companies may not be able to meet. Further, if the third party was a non-resident (i.e. company incorporated outside India), then the restrictions under the extant exchange control laws in India would also be applicable and hence choosing the right partner to subscribe to equity shares was a daunting task. FII’s may also choose to participate in the debt of the listed as well as the unlisted insurers. Participation in debt does not put statutory restrictions on the limit the of the FII investment unlike in participation in equity capital. Hence the OCFR set free a regime which may have been far from perfect but at least opened avenues that were not available before. While the OCFR was notified on November 13, 2015, it was only during the second half of 2016 that the insurance industry actually started to witness insurers raising funds through Instruments under the OFCR. As of today, several insurers have raised capital under the OFCR. It is interesting to note that all these insurers have raised funds only through non-convertible debentures and not through preference shares or other debt instruments and given the regulatory restrictions on preference shares under the OFCR, it is easy to understand why. In relation to such issuances, the maturity period by and large has been 10 (Ten) years (as required under the OFCR) and some issuances have also incorporated call options after 5 (Five) years. Further some non-convertible debentures have also been listed on stock exchanges, which could be to better the credit rating of the debentures, as the OFCR does not permit issuance of secured debentures and to provide free transferability and tradability on the market floor. While subordinated debt especially in the form of debentures have provided a lot of flexibility to insurance companies and going by their popularity seem to be the preferred manner of fund raising under the OFCR, the regulatory framework around preference shares, specifically not granting voting rights in any scenario whatsoever, is an impediment to these instruments being widely popular. The IRDAI needs to provide clarity on many aspects, such as whether the Instruments under the OFCR can be convertible, whether participating preference shares can be permitted, whether preference shares have voting rights in certain situations etc. Last but the not the least as the IRDAI still retains a fair amount of discretion under the OFCR in relation to Instruments, their issuance, transfer, convertibility etc., we hope that IRDAI exercises the same with discretion keeping in mind the legislative intent of the amendment, namely to alleviate the chronic crunch in funding of insurance companies. 1. These other debt instruments may include debenture stock, bonds or any other instrument of a company evidencing a debt. 2. Regulation 2(iv) of OFCR. 3. Section 43(b) of the Companies Act defines “preference share capital”, with reference to any company limited by shares, to mean that part of the issued share capital of the company which carries or would carry a preferential right with respect to – (a) payment of dividend, either as a fixed amount or an amount calculated at a fixed rate, which may either be free of or subject to income-tax; and (b) repayment, in the case of a winding up or repayment of capital, of the amount of the share capital paid-up or deemed to have been paid-up, whether or not, there is a preferential right to the payment of any fixed premium or premium on any fixed scale, specified in the memorandum or articles of the company. 4. Regulation 2(v) of OFCR. 5. Section 2(30) of the Companies Act.